Weather has been gorgeous, which means my trail running is in full swing. Living in Golden, I am blessed with ample amounts of trails to choose from. I typically run North Table Mesa, but depending on the race I am training for I need to change up my routine. My recent race had an incline of 1000 feet over the first two miles, so I needed a trail with an incline. That lead me to Chimney Gulch Trail. 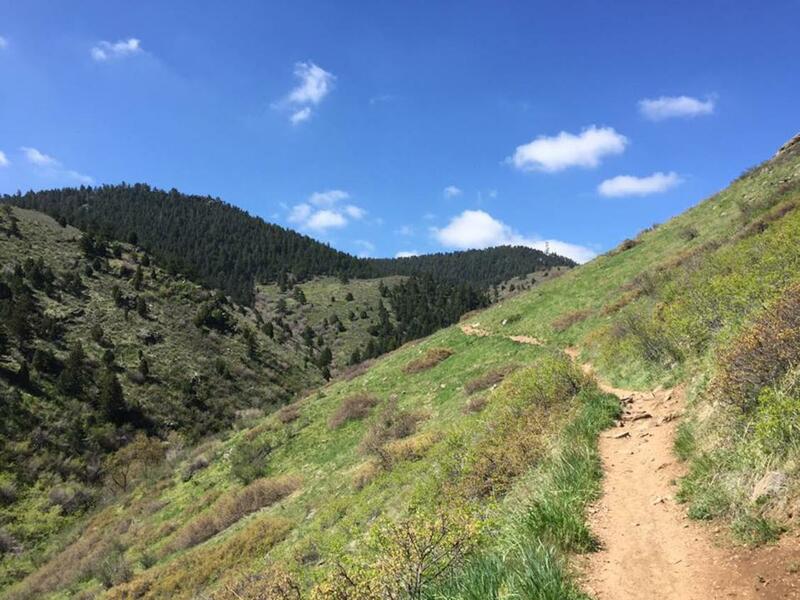 This gorgeous trail starts in Golden and climbs 2.5 miles up Lookout Mountain. During that 2.5 miles, be prepared to ascent 2000 ft; which is a good work out. The trail is hiker, biker, and dog friendly. It is considered a moderate to advanced hike due to the incline and the obstacles. Throughout the hike, you will cross streams, have nice pockets of shade, and see gorgeous views of Golden. Upon reaching the top, you can continue hiking on Lookout Mountain Trail or Beaver Brook Trail or you could visit Buffalo Bill’s Grave or the Nature Center. No matter what you decide to do, make sure you take a break to check out the view. You will have breathtaking views of Golden- North Table Mesa, South Table Mesa, Coors Brewery right between them, and Colorado School of Mines. When you are finished hiking, head into Golden for some lunch. Bob’s Atomic Burger is a great choice for a burger or go to Golden’s second largest brewery, Golden City Brewery, for a beer and whatever the food truck has to offer. Bikers yield to all other trail traffic- horses and hikers. Downhill yields to uphill- people going uphill generally have a smaller field of vision and could be in a rhythm. Be vocal about passing- let people know you are coming up behind them. Stay on the trail- help preserve the environment. By following these rules, you will likely meet some interesting people and have some great conversations. You are also doing your part to keep the trails and yourself safe! 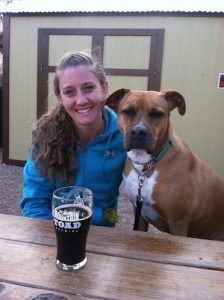 Christie is an outdoor enthusiast from Golden, Colorado, that LOVES doing everything outside. She has an MBA with an emphasis in Sustainability from Brandeis University and a passion for helping others, which she turned into a consulting career. In her spare time, she enjoys the outdoors and sharing her stories with others through blogs. You can read her latest posts on OnDenver.com. Christie loves Colorado and hopes her stories help others see Colorado in a way they have never experienced before.